The Chapel of the Ascension marks the place where Jesus ascended into heaven after resurrecting and living on the earth for 40 days. 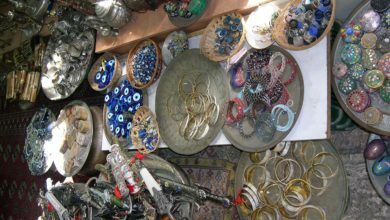 It is located in the Village of al-Tur, just south of the Mount of Olives Hotel. This church contains the imprints of Jesus’ footsteps. It’s quaint round structure is a Sacred place to both Christians and Muslims. There is a small mosque, Zawiyat al-Adawiyya, built in 1620 just to the right of the Chapel of the Ascension. Visitors ring a bell for the door to open and can get a generous view of the Chapel and the surrounding landscape. The entrance to the Chapel of the Ascension leads to an open, paved courtyard. 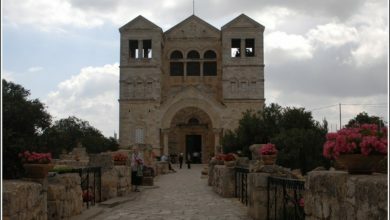 The chapel beyond was built primarily in the Crusader era. However, the octagonal drum and the dome are uniquely Muslim additions. The external walls are also octagonal and display beautiful marble columns and arches. The tops of these columns bear 12th century motifs. There is foliage and winged creatures, like birds only with four legs. From the west entrance, the Chapel of the Ascension (once used as a mosque) has a mihrab pointing in the direction of Mecca . 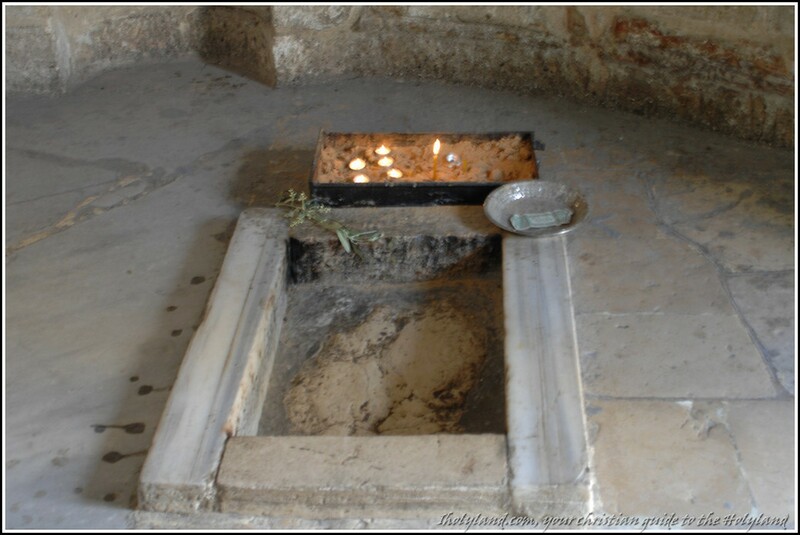 Just inside this entrance is a frame on the floor around a stone slab with the imprint of Jesus’ right foot. The imprint of Jesus’ left foot was taken to the Al Aqsa Mosque in Jerusalem during the Middle Ages. Hooks line the interior walls of the Chapel of the Ascension. 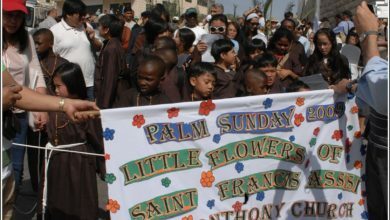 Tents are hooked to these and stretched to celebrate the Feast of the Ascension. A small burial crypt just outside the Chapel of the Ascension draws pilgrims from Judaism, Christianity and Islam alike but for very different reasons. Jews believe that the 7th Century prophetess Huldah (one of seven mentioned in the Old Testament) is buried here. The Christians believe that the contents are the remains of 5th century Saint Pelagia. Muslims contend that Rabi’a al-Adawiya (the ancient Muslim holy woman for which the Mosque is named) lies in the crypt. Either way, the Chapel of the Ascension draws many pilgrims each year. 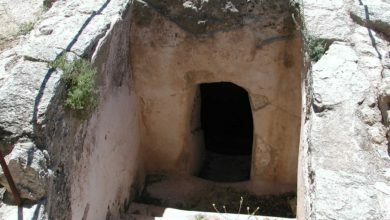 Before Constantine converted to Christianity in 312, Christians honored the Ascension of Christ in caves for security reasons. 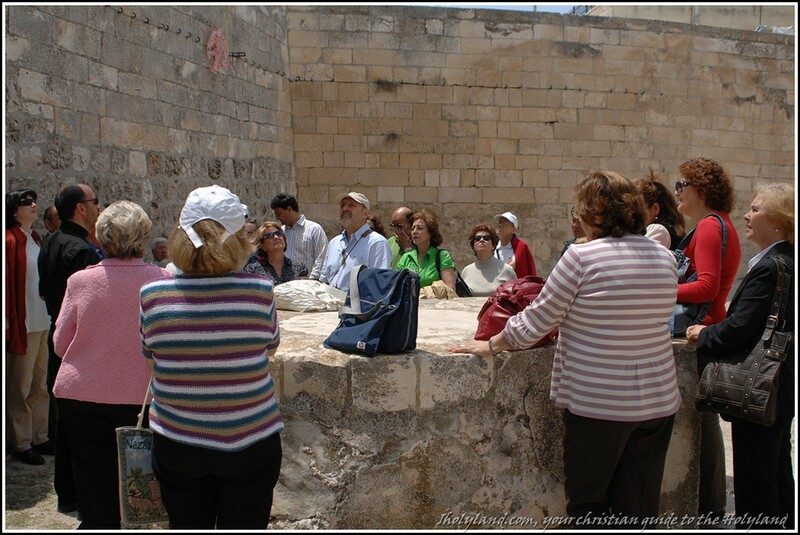 By 384, the place of the Ascension was honored in the current site, up the hill from the cave on Mount of Olives. Poimenia, a pius Roman woman, built the first Church of the Ascension at this location in 390. During the Persian attacks in 614, the church was destroyed then rebuilt by Modestus. The structure was described by a pilgrim in 680 as being round and open to the sky. Eight lamps shone at night in the windows facing Jerusalem. There was already a railing around the imprints of Jesus’ feet. 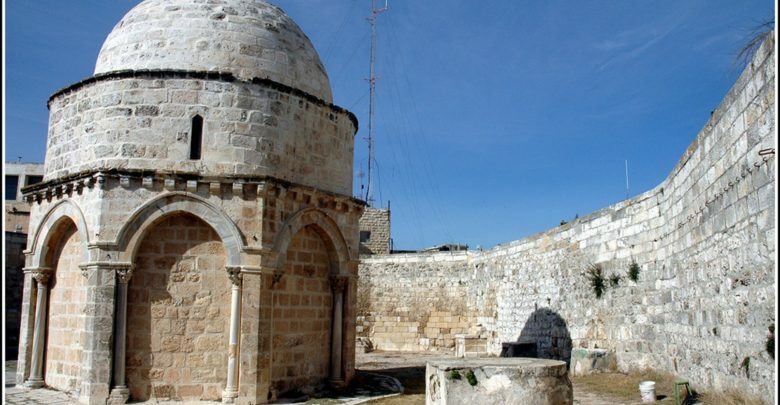 The Crusaders rebuilt the Chapel of the Ascension as a roofed octagon in 1150, but Salah al-Din gave the church to two of his followers who added a dome and a mihrab. The Muslims acknowledge the Ascension of Jesus, though it is not mentioned in the Qur’an. The Church of the Ascension remained a mosque for the next 300 years. The building started to decay in the 15th century and then a wall was built making the octagonal structure a symmetrical one. The mosque was built in 1620, and it remains in Muslim control today.